screenSpaceSize The size in pixels for the lengths of the line segments and the gaps between them. Draw a dotted line from p1 to p2. 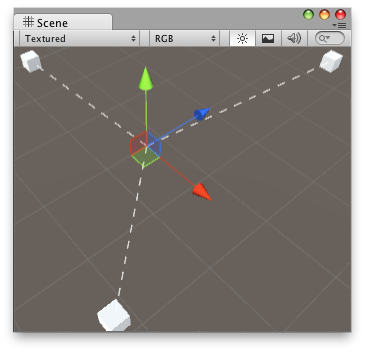 Draw Line in the Scene View. // Draw lines to the connected game objects that a script has. // then it draws a line from the object to (0, 0, 0).